I'm new here so please let me know if this is the wrong forum for this. I've never been mechanically-minded. Until a couple of years, I'd never even changed the oil in a bike (or a car), but I decided to give building a go. 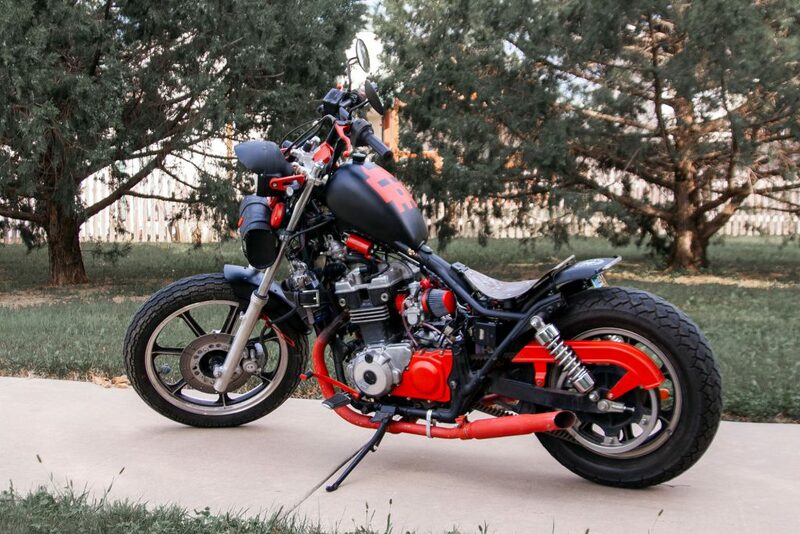 I built this Kawasaki 454 bobber, and was really happy with the experience and the result. 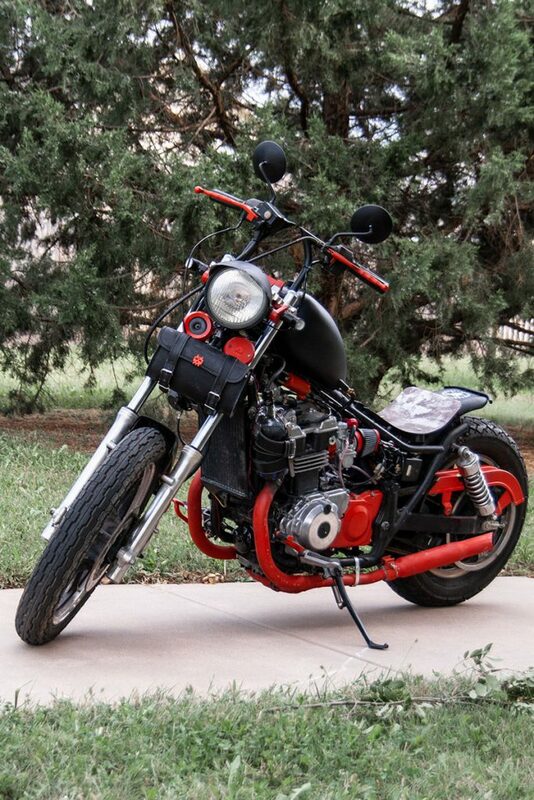 I wanted to do it again and talked my daughter into working on a project bike with me. It's her first bike, so we wanted something small. 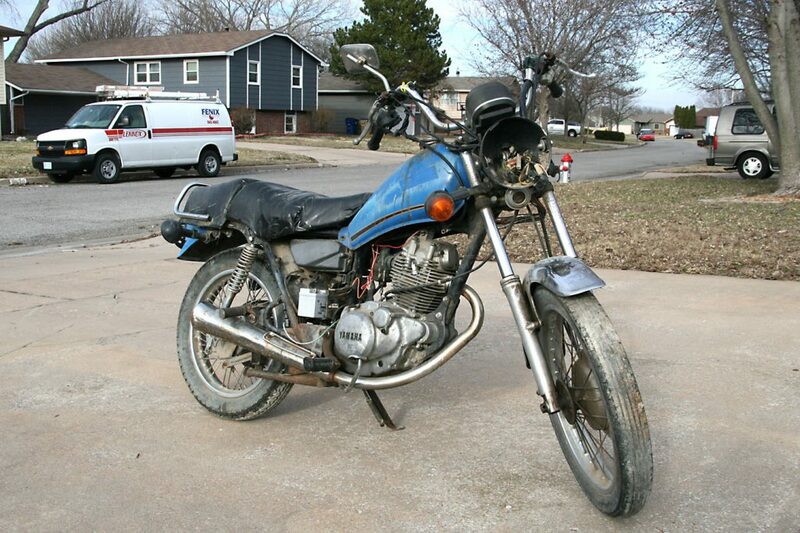 Eventually I found a Yamaha SR250 on Craigslist, which turned out to actually be an SR185. You should patent that blue transfer ware effect on the SR185 ?! Don't think I've seen that before. I'm not a big fan of bobbers I must say, just getting the SR185 back shipshape and tidy would probably make it something special and unusual these days. They were quite a stylish little jigger with that tank shape already ?? Well as I said, that's just a "sketch" of what we'd like to build toward. Currently experimenting with different ideas for getting that china pattern on there. I'm not sure if I'll have to buy a new tank, or if we can save the one that's currently on there (it's a mess!) 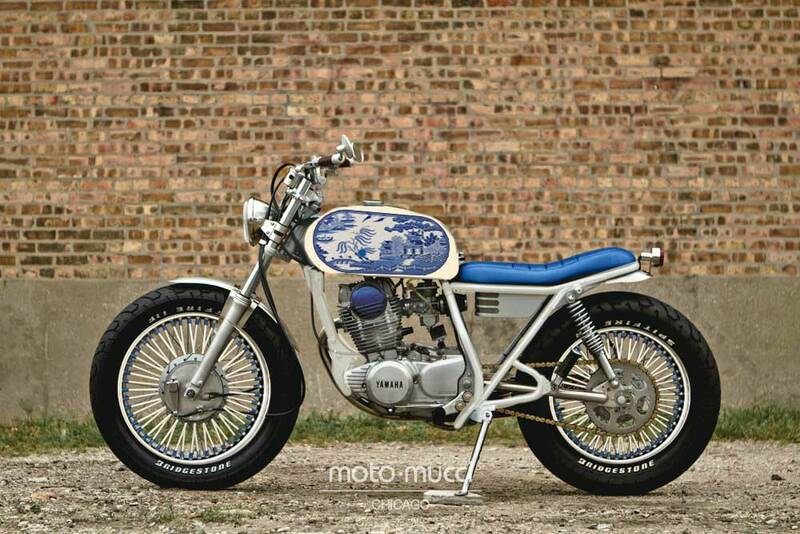 Weirdly, 90% of all "cafe racer" style tanks are for the Honda CG125.